The Flowering Maple can be grown outdoors in warmer regions (Zones 8-10), but it is most often grown as a house or annual plant. 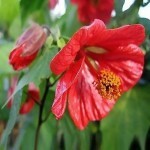 The Flowering Maple is not really a Maple at all and that common name is derived from their maple-shaped leaves. Abutilon hybridum is also commonly known as a Chinese Bellflower or a Chinese Lantern. The flowers resemble a cross between a Hibiscus and a Hollyhock, with colors of rose and light violet. Flowering Maples need a considerable amount of room in which to grow. 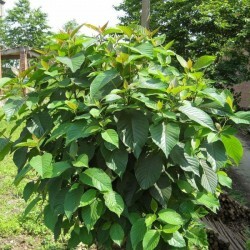 If left unrestrained, they may grow to ten feet in height and spread, so it is important to not provide too large of a planter, nor to feed this plant too well. When your plant has reached a suitable size you can control the growth somewhat by pinching, pruning and keeping it slightly root bound. Flowering maples should be pruned to the desired shape in early spring or late fall. They can be trained into a hanging plant growth pattern by pinching back each stem tip every time is grows out two or three inches. To create a more vertical tree like structure, allow only one main stem to remain, and remove all side shoots from it until it reaches the desired height. 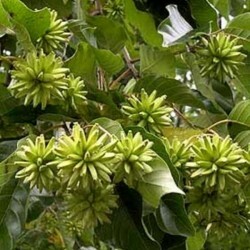 Then pinch the main tip to force lateral bushiness at the top of the plant. 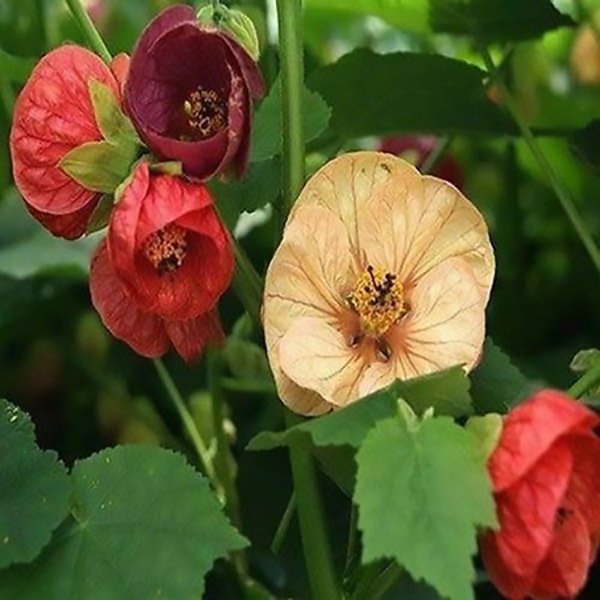 Germination Abutilon will grow easy from seed. Sow from February to March in moist soil surface, cover with glass or clear plastic.<br /> Normal germination time - 21 days. 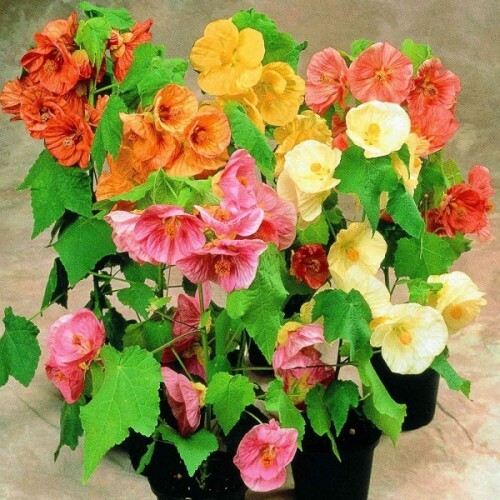 Germinates better then temeparture is ~+20C.<br /> Seeds started indoors in early spring should be ready to produce their first flowers by the following winter if grown inside or in the end of summer if grown outside.